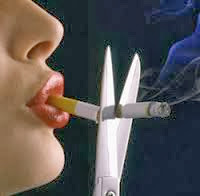 How to Quit Cigarette Smoking? To convince yourself to quit smoking is the most tedious job. It has serious effects on the body while we start thinking of doing so. To quit smoking requires a lot of planning. No one should and no one can quit smoking in a week. It's a time consuming process because it requires your mind to maintain itself in order to live without smoking. Thus do not quit it at one go because it is the most ineffective way of doing so. Also, there are higher chances of re-start to smoke if the process of quitting is faster. Quit smoking as you started. Remember when you start smoking, you used to have a cigarette or two. As time progressed the urge to have more increases and you started having 3 to 4. Eventually the count increased to 10. So quitting should also be in numbers. Reduce from 10 to 8 in 15 20 days and so on going on reducing the intake. 1) Keep a check : Think how you started smoking. During a start, you used to have 1 or 2 cigarettes a day and as days progressed it went up to 8-10 a day. So quitting also should be in numbers of small amounts. You cannot stop complete smoking by 10 in a week or two. Keep a target. Reduce by 1 or 2 every week. So if you have 8 cigarette a day, keep a target of 6 a day after 15 days. So starting today, you must have 6 cigarettes a day after 15 days. If you achieve success in reducing the consumption of cigarettes in smaller amounts, you will gain super confidence and the next numbers will reduce significantly and in a period of 60-75 days you would be free of smoking. 2) Keep cigarette boxes away : If you are at home, keep the cigarette box with wife. If you are at office, keep the cigarette box in your friend's desk. Ask them you need to quit smoking. Friends and family would be very supportive to you in this regards. When a urge arises to smoke, you need to find out ways to convince your friend and family to get a cigarette. In turn, they will help you in avoiding cigarette & smoking in their own unique ways. 3) Think of benefits of quitting : Do not think of what you achieve in a short term. Keep a long term goal in your mind. In a short term, smoking will give you a mind relaxation, but what will happen in a long run. You are the one who are going to suffer the health benefit. This not only hurts you but your family and friends too. So when you take a cigarette next time think of you + your family + your friends. 4) Involve yourself in some task : As soon as the urge arise of smoking, do not move yourself outside the office. Force yourself to be at desk and continue working. If you can't, use the email or communicators to chat with your colleague. Ask for some file that you need to continue your work or go for the session with team in a conference room. Explain them about some tasks or move to your colleague's desk and discuss about some political issues, latest news or something you learned at office. 5) Think of money : Every time you convince and stop yourself from smoking, put that money in a piggy bank and keep a check of how much money you saved. If you avoid smoking and reduced 10 cigarette a week, you can save 100 units of money a week. Add this money to the cost saved for Cancer and other dreadful disease treatments. 6) Run : Every morning run for atleast 15 - 20 minutes. This is considered as helpful for people who want to quit smoking. 7) Follow Healthy Lifestyle : Think about healthy lifestyle and start following it day in and day out. Slowly you will notice that your focus is increased towards health and thus it helps in quit cigrattes.Click here to read complete article on Healthy Daily Routine and Balanced Diet. If you know any more tips, do share in the comments block.